1. Frédéric Malle Lipstick Rose: because this was the winner in the war of Malle roses (pace Couture Guru)! 2. Comme des Garçons Avignon: because it's the best of the sacred incense series! 3. 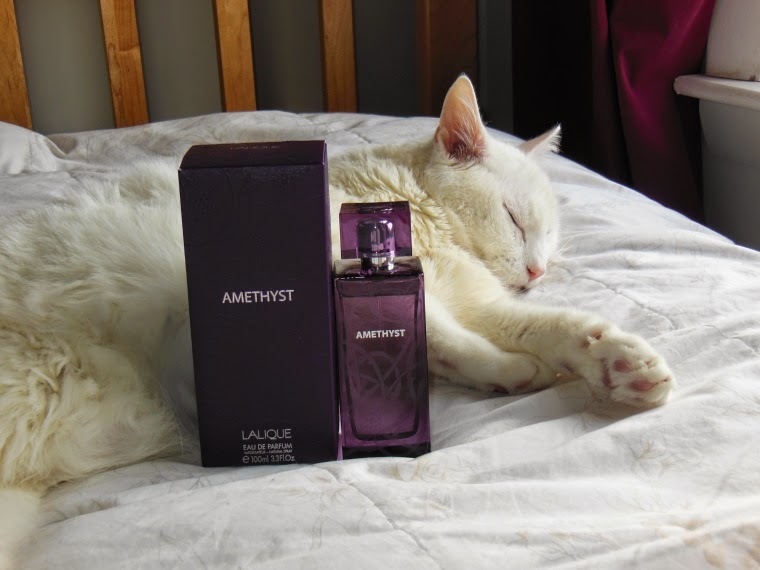 Lalique Amethyst: because black currant is your hot weather friend! 4. Keiko Mecheri Loukhoum Eau Poudrée: because not all doughnut shops are alike! 5. Natori Natori (eau de parfum from 2009): because this Parlux production is not mall juice but an excellent new old lady perfume! I'm amazed how different our tastes are! From your list I have never tried 21 perfume, really like 3 and it leaves another 21 that aren't my cup of tea. Thanks so much for stopping by, Undina! I should clarify that this is not intended to be a list of sherapop's favorite 100 perfumes. For example, I hardly ever wear Lalique Encre Noir (Darth Vader's signature scent), but I do think that it is a must-sniff! True, most of the items on the list are beloved to me, but not all! Hi Sherapop, I am enjoying your blog. I like your no nonsense and totally honest sense of perfume. I can't read your sillage review of Loukhoum Eau Poudree as it asks me to request that you sign me up to make it available. May I read it? I used to own Lutens Rakhat Loukhoum! Thanks so much for bringing the access problem to my attention, Danica! The Loukhoum post will be reblogged here at the salon de parfum in the days to come!